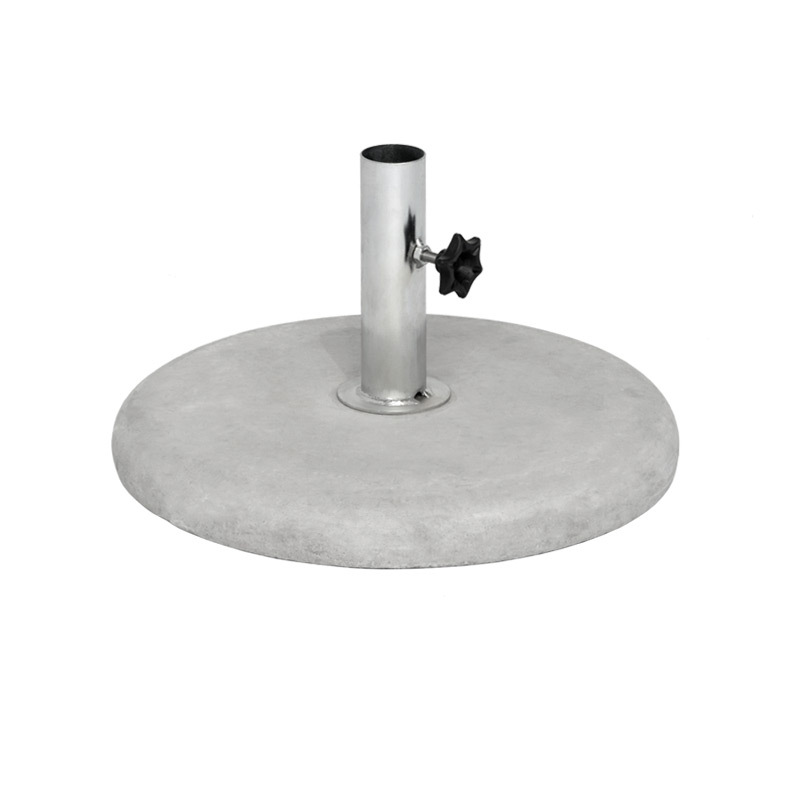 Center pole mounted aluminium frame (4 struts) with reinforced plastic hub and brackets. 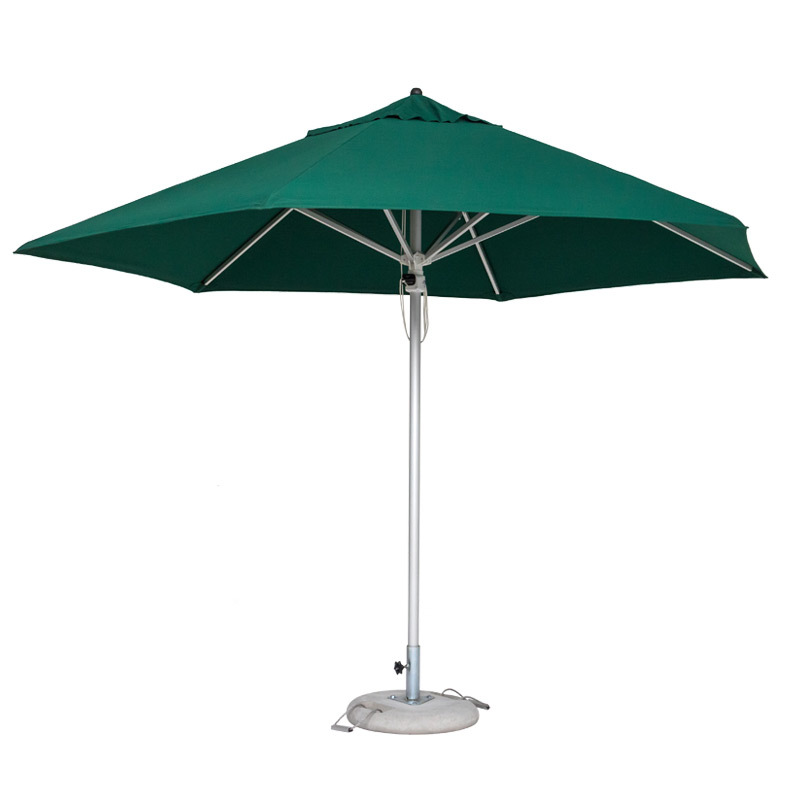 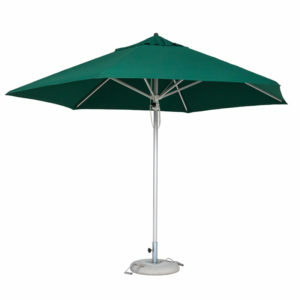 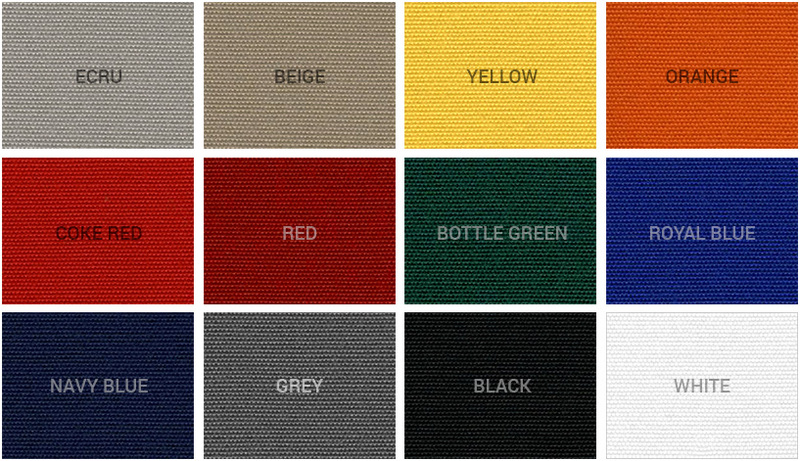 Parasol uses the oplock locking system and pulley system for opening and closing. 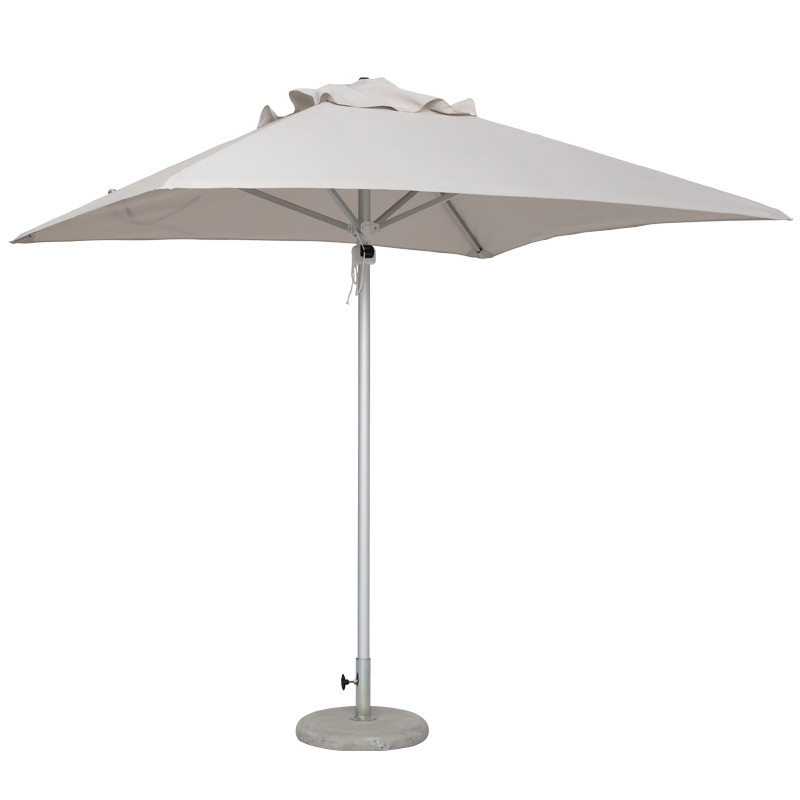 Center pole mounted aluminium frame (6 struts) with reinforced plastic hub and brackets. 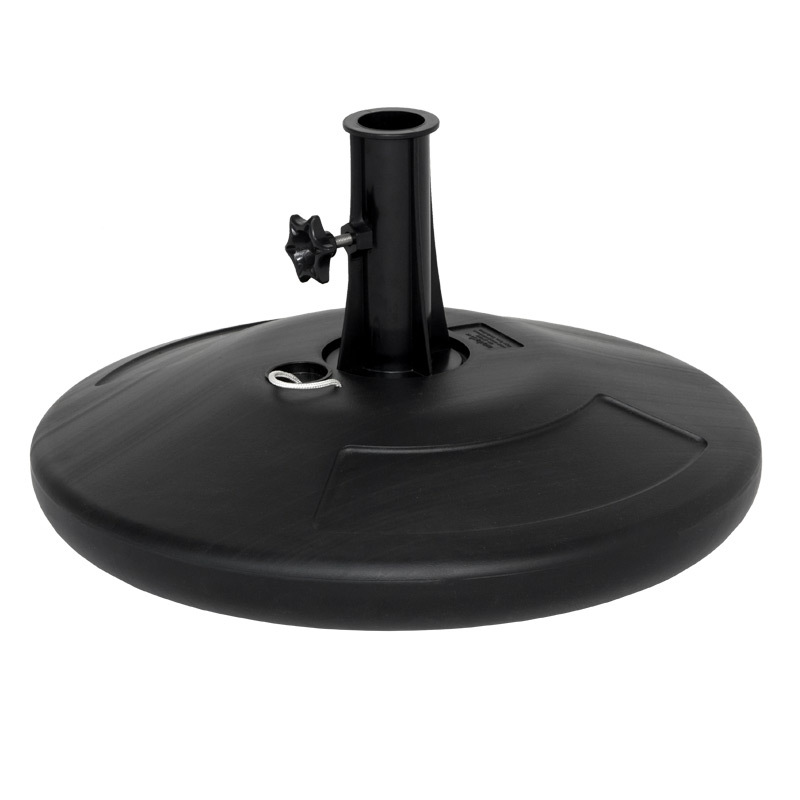 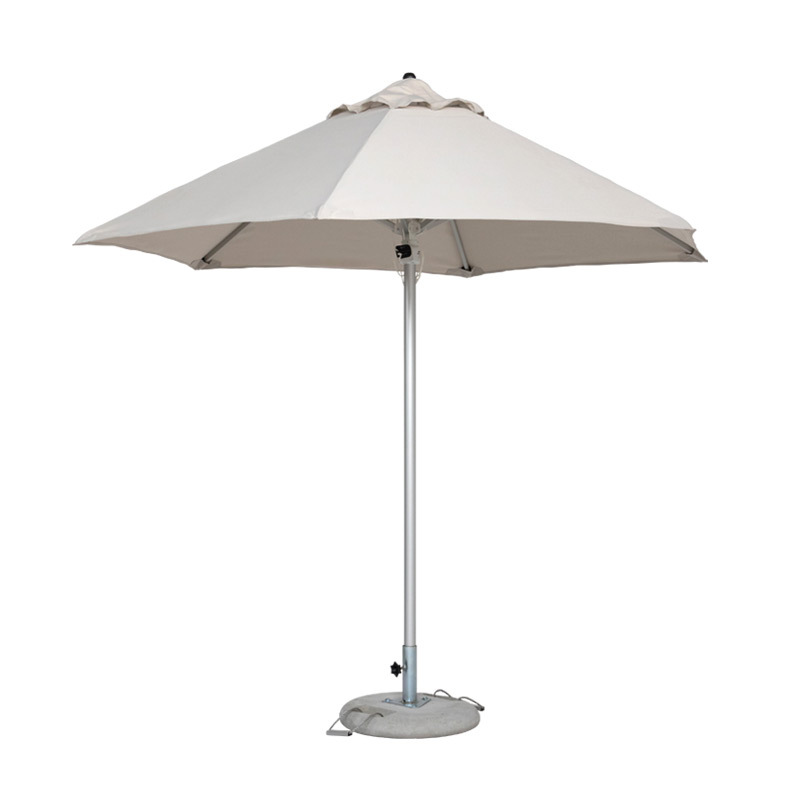 Center pole mounted aluminium frame (8 struts) with reinforced plastic hub and brackets. 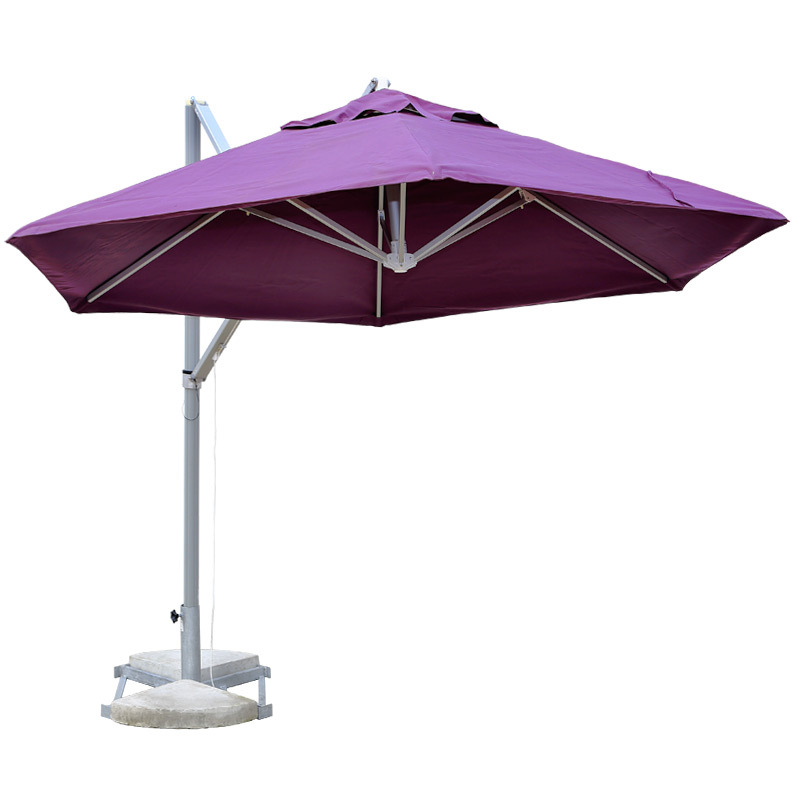 Cantilever mounted aluminium frame with reinforced plastic hub and brackets. Cover is mounted onto a removable 6 strut frame. 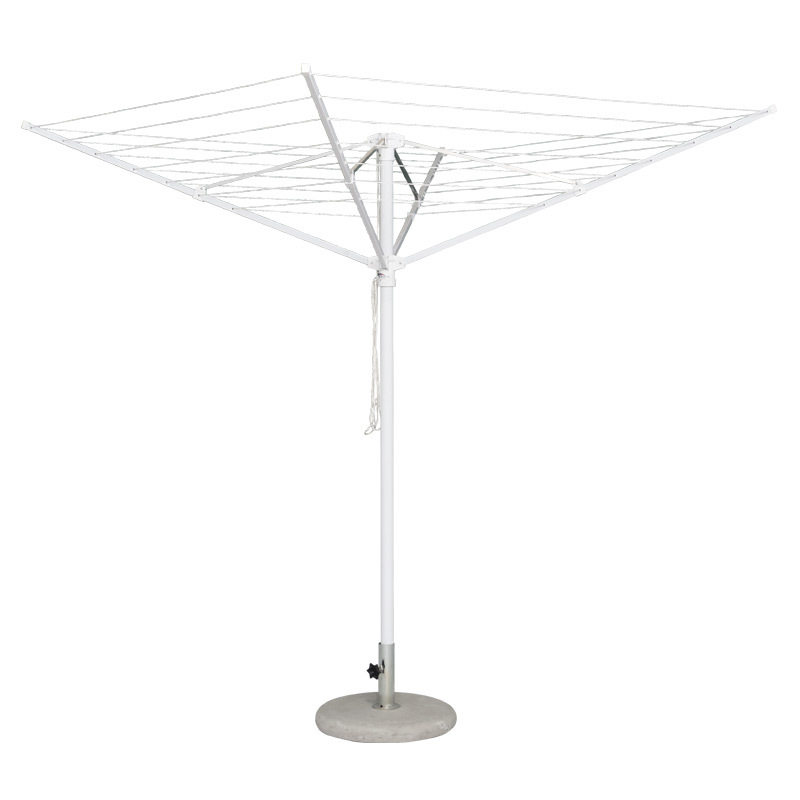 Opens and closes using pulley system. 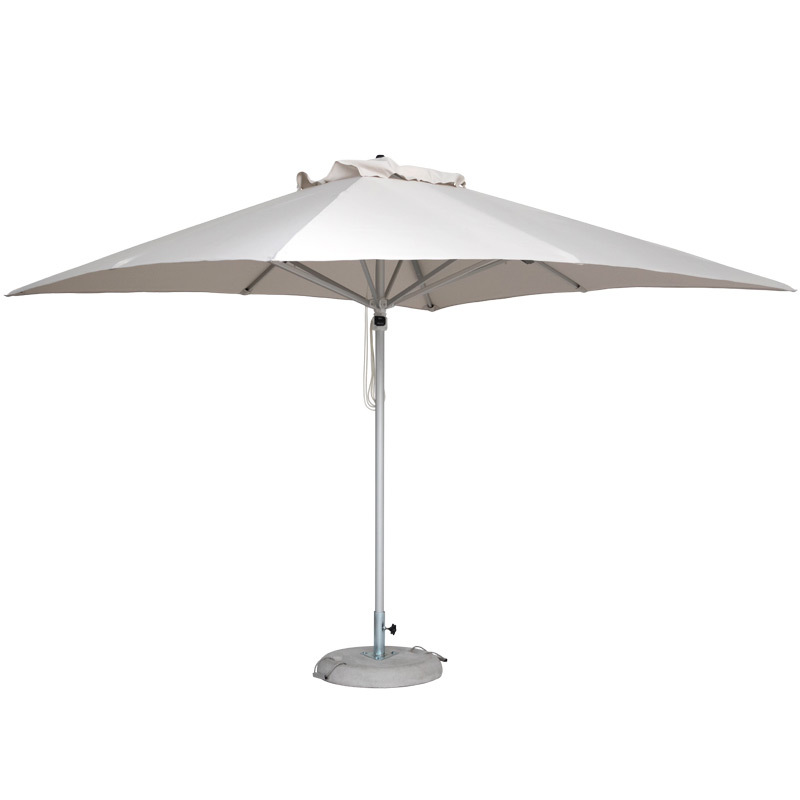 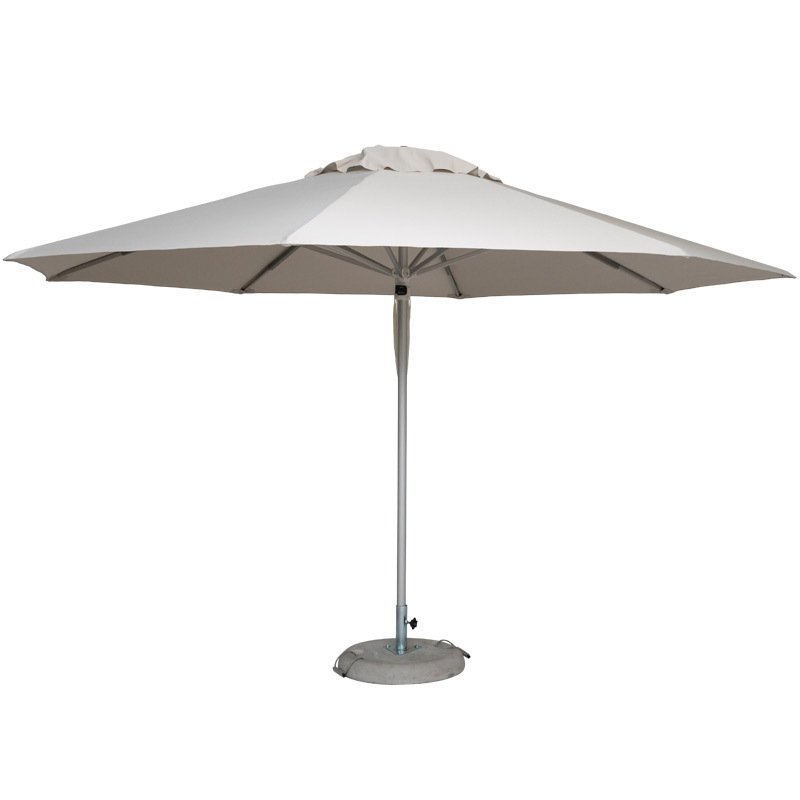 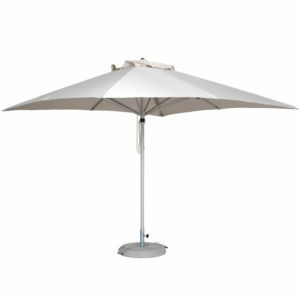 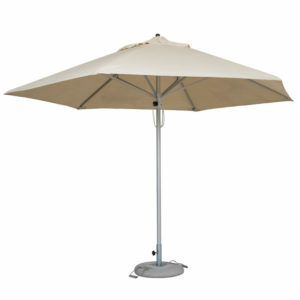 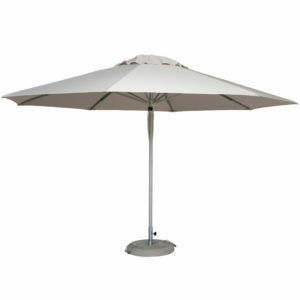 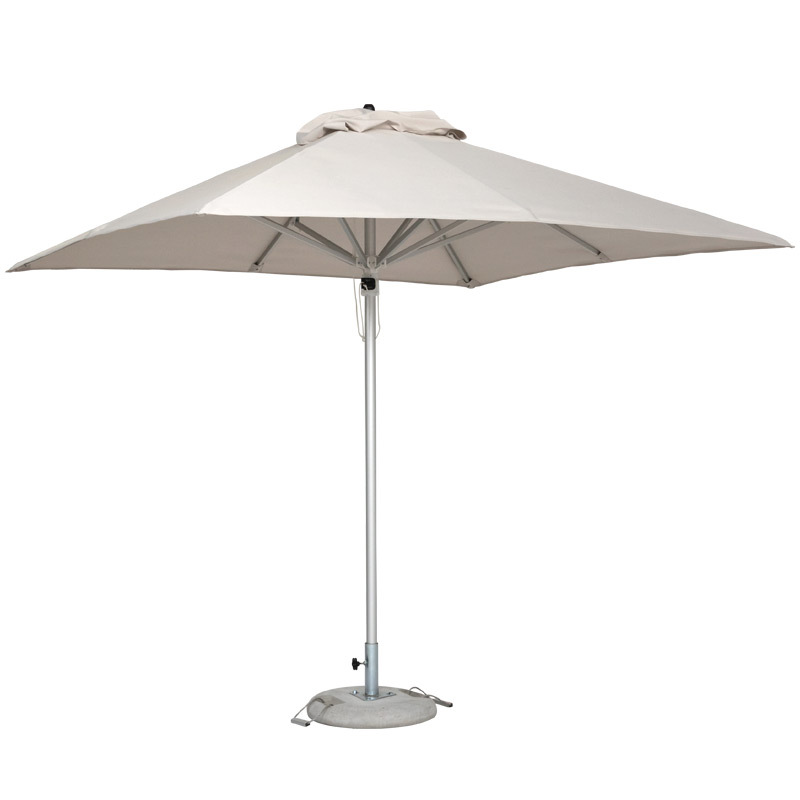 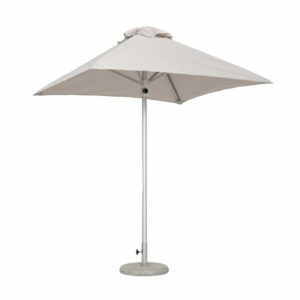 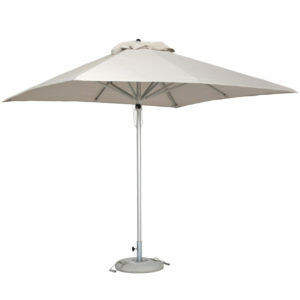 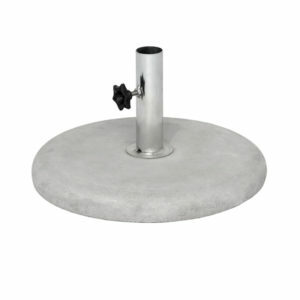 Specialized concrete base included with Sundowner parasol. 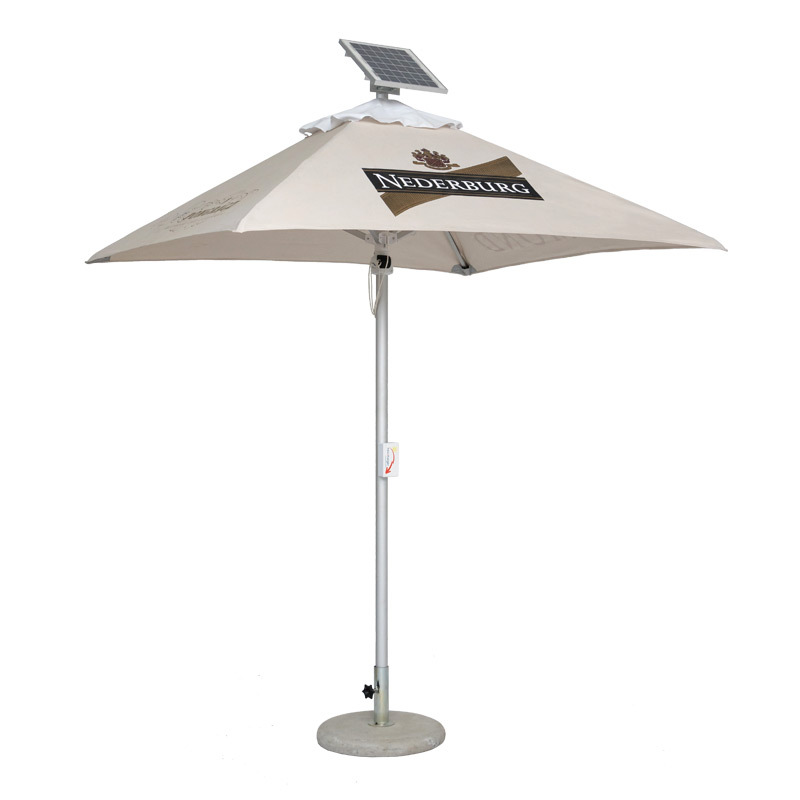 The freecharger comes with a solar powered charging system built into the center pole. 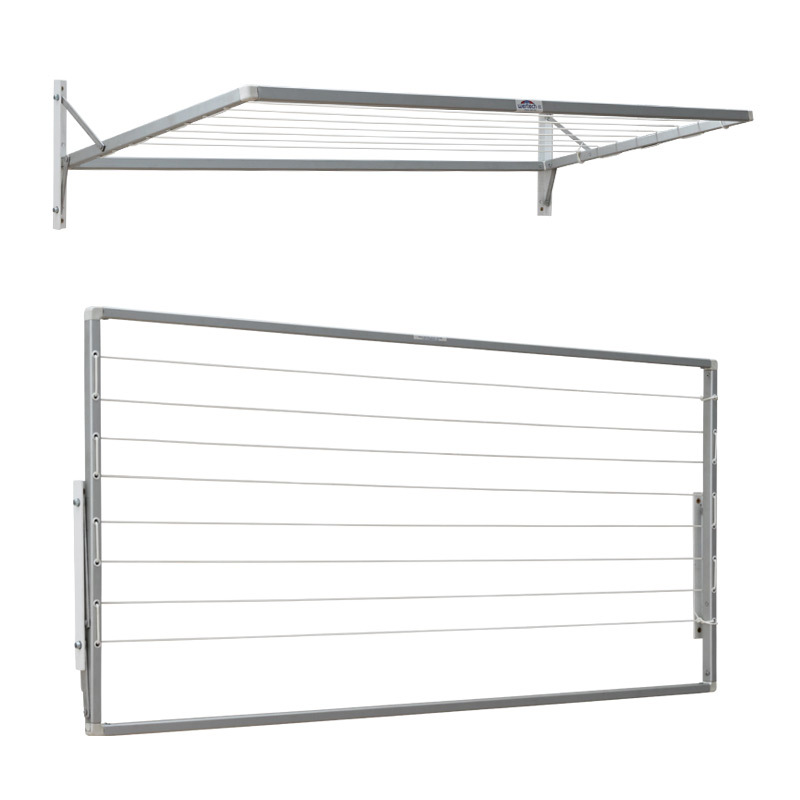 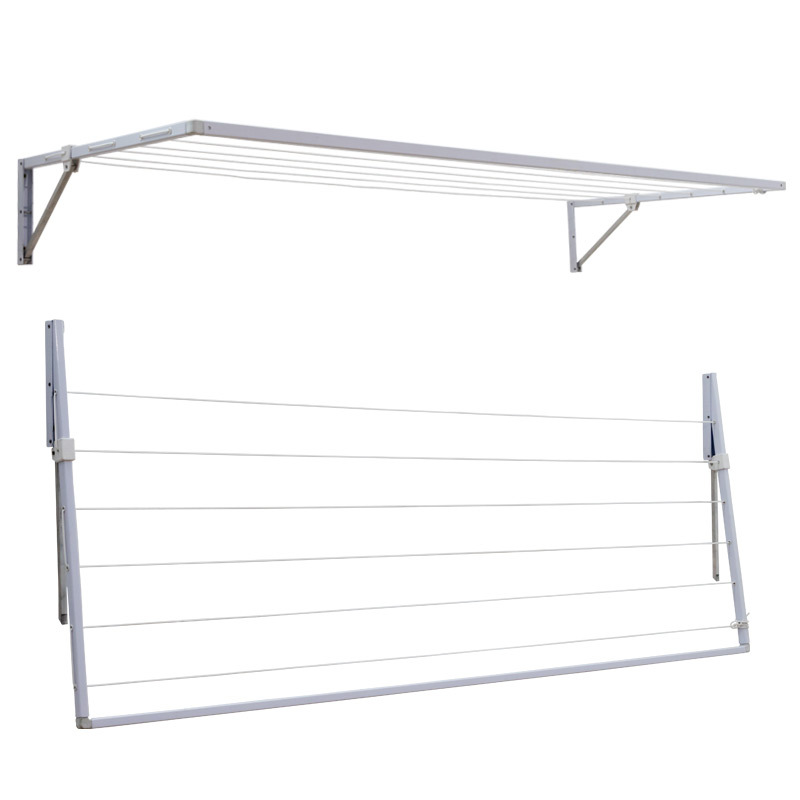 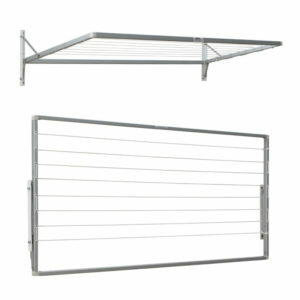 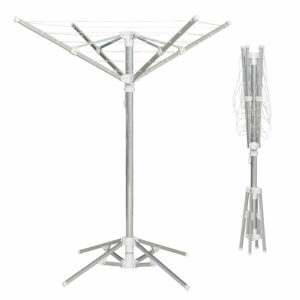 Standard center pole mounted aluminium frame washline with the 3 arms, can be folded away. 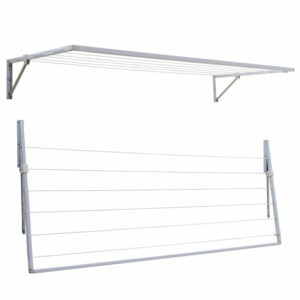 Opens and closes using a pulley system. 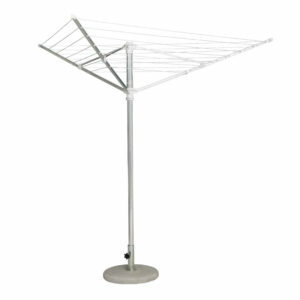 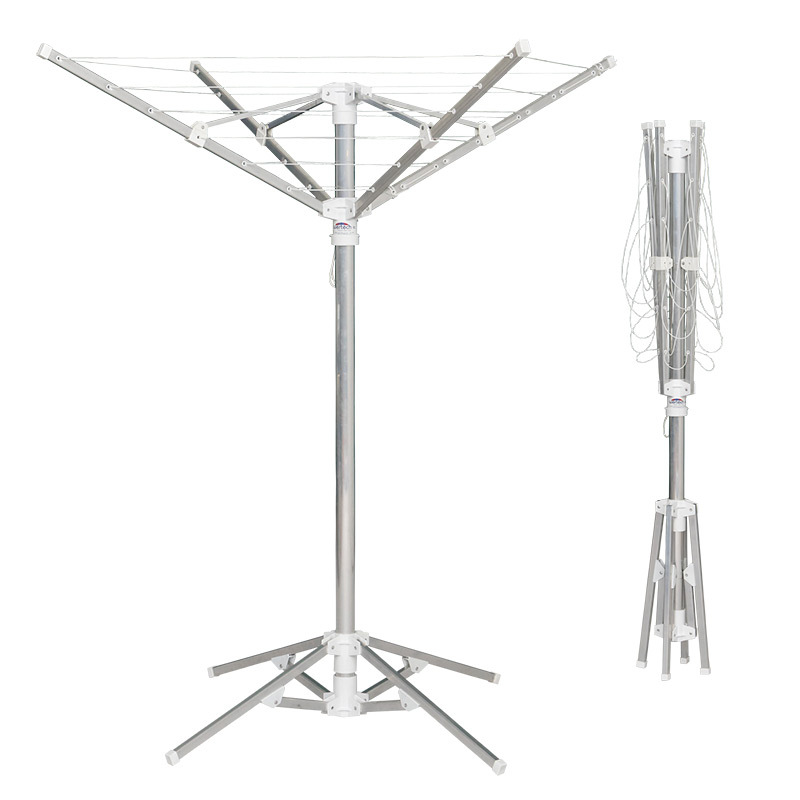 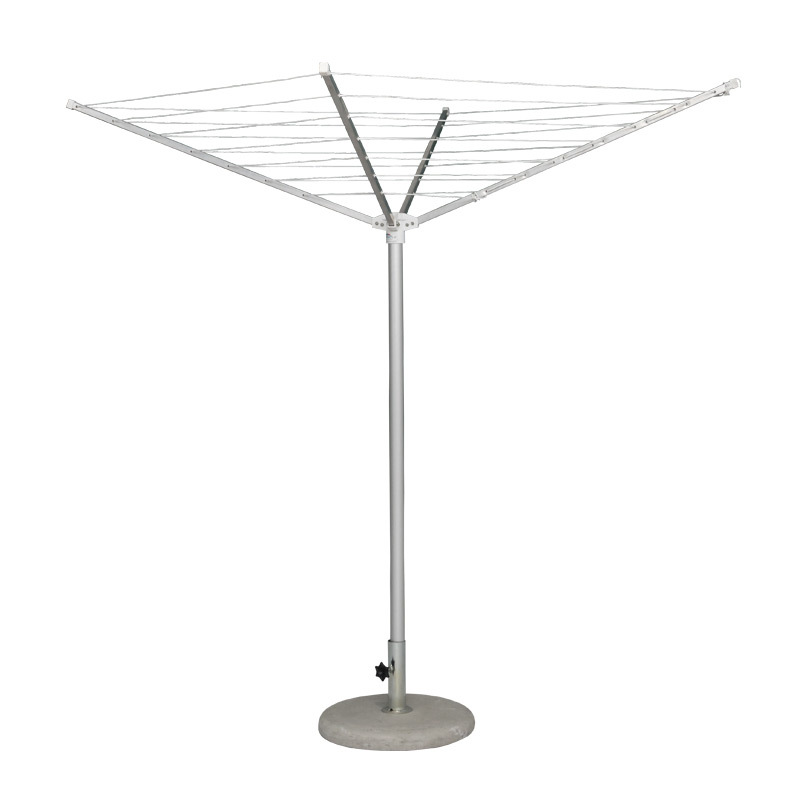 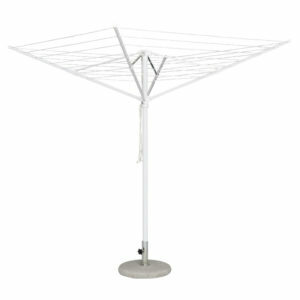 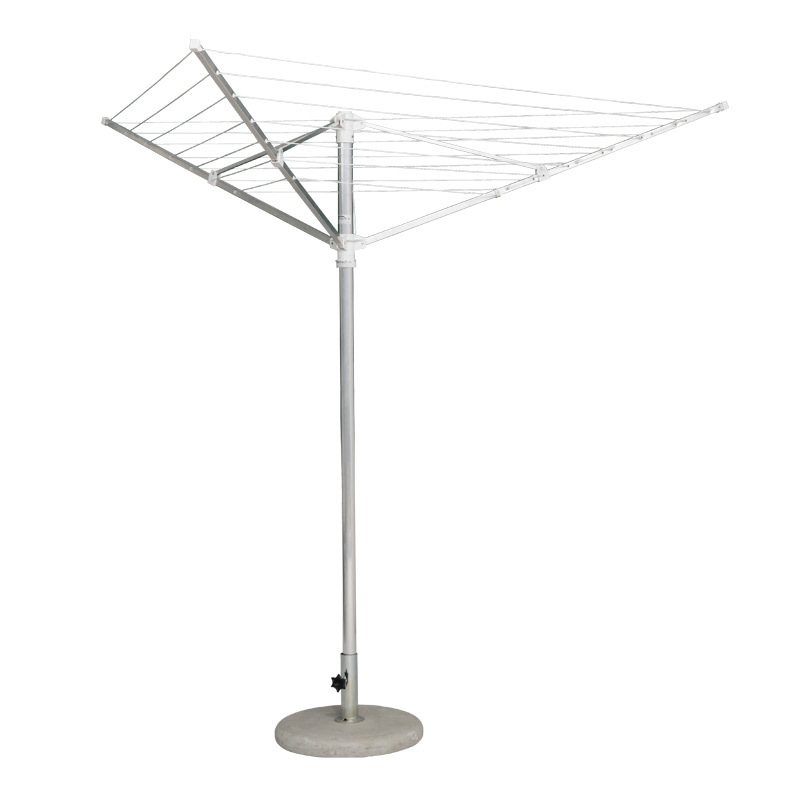 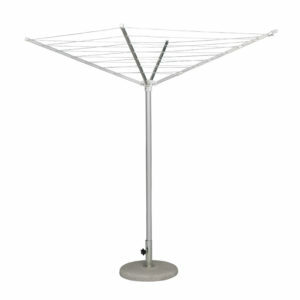 Standard center pole mounted aluminium frame washline with the 4 arms, can be folded away. 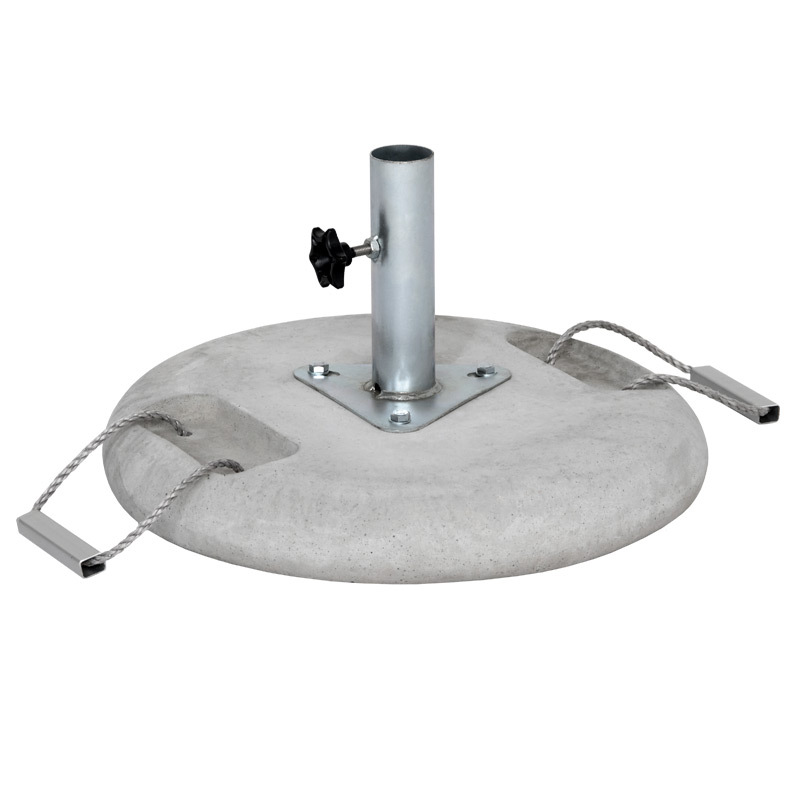 Opens and closes using a pulley system. 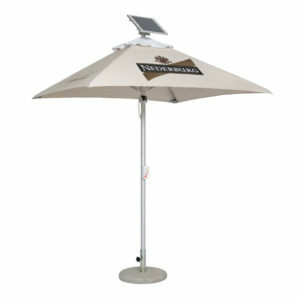 Comes with a collapsible stand.